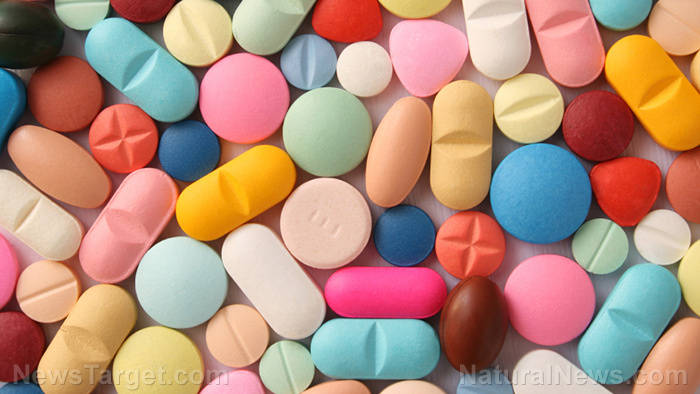 (Natural News) Researchers discovered that 15 percent of adults who use nonsteroidal anti-inflammatory drugs (NSAIDs) – such as ibuprofen and others – went beyond the recommended dosage in a one-week period. The study, published in the journal Pharmacoepidemiology and Drug Safety, studied whether it was common for people to surpass their daily limit of NSAIDs, as well as to distinguish patterns such as dosage and other characteristics among people taking ibuprofen. The study was a collaborative effort of Boston University’s Slone Epidemiology Center, Pinney Associates in Pennsylvania and Appleseed Consumer Insight in Maryland. “It is important to understand how many users exceed the maximum, how they do it and what characteristics are associated with over-use. This knowledge can help guide consumer interventions to promote safer use,” according to lead author David Kaufman of the Slone Epidemiology Center. According to the U.S. Food and Drug Administration (FDA), complications are higher in those who take NSAIDs over long periods. The agency suggests that people who have been taking NSAIDs for more than 10 days should see a healthcare professional. Moreover, the smallest effective dose of the NSAID should be used for the shortest possible time. The research utilized an online, one-week diary study of 1,326 people who took ibuprofen. In this study, respondents recorded how much ibuprofen they took for each hour. The data gathered was analyzed afterward to determine deviations from dosing directions. An exit survey then collected information such as demographics, medical history, physical and mental health status, as well as their attitudes on reading the label and dosing behavior, and their knowledge on product label instructions. The researchers found that during the week, 90 percent of diary users took over-the-counter ibuprofen, while 37 percent also took non-ibuprofen NSAIDs. Most of the respondents did not know that the items were NSAIDs. There were 11 percent that exceeded the daily limit of ibuprofen, and four percent went over their daily dosage for other NSAIDs. People who exceeded the usage days of NSAIDs were at 9.1 percent. The findings pointed out the going over the daily dosing directions happened in medications that required one-pill doses. People who exceeded the dosage were male, had ongoing pain, were not in great shape physically, and smoked daily. They also had a mentality that they “chose their own dosage,” did not start with the lowest dosage, and had limited knowledge of the recommended one-hour and 24-hour doses. NSAIDs can also trigger allergies and skin reactions; swelling in the face, wheezing, and hives are all common symptoms. Other signs include blisters, redness in the face, and the appearance of a skin rash. If a person is experiencing difficulty in breathing after taking an NSAID, he should be brought to the emergency department immediately, and the attending physician advised with any responses and side effects. People who have existing cardiovascular or gastrointestinal risk factors should seek advice from a healthcare professional before taking an NSAID. Learn more about harmful medicines at DangerousMedicine.com.